officers and other employees, etc., to be public servants. markets, in India, and for matters connected therewith or incidental thereto. Substituted by the Finance Act, 2017, w.e.f. 26th May 2017. 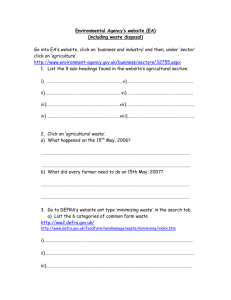 Prior to its substitution, clause (ba), as inserted by the competition (Amendment) Act, 2007, w.e.f. Government dealing with atomic energy, currency, defence and space. respectively assigned to them in that Act. in subsection (1) shall be void. acquisition or control of goods or provision of services. or is likely to cause an appreciable adverse effect on competition in India. prices lower than those prices may be charged. control of goods or provision of services for such export. (b) “predatory price” means the sale of goods or provision of services, at a.
production of the goods or provision of services, with a view to reduce competition or eliminate the competitors. indication, geographical indications, design or layout- design or similar other commercial rights, if any, referred to in sub-section (5) of section 3.
relevant market in India and such a combination shall be void. any covenant of a loan agreement or investment agreement. investment agreement, as the case may be. Subs. by Competition (Amendment) Act, 2007 for “seven days”. enterprise(s) who is a party to combination from giving notice within 30 days. a Commission to be called the “Competition Commission of India”. Government may decide from time to time. The Commission may establish offices at other places in India. may be useful to the Commission. during the first year of the establishment of the Commission. Central Government may be useful to the Commission. by fresh appointment in accordance with the provisions of sections 9.
form, manner and before such authority, as may be prescribed. fill such vacancy, enters upon his office. Chairperson resumes the charge of his functions. office or until the expiry of his term of office, whichever is the earliest. medical facilities shall be such as may be prescribed. 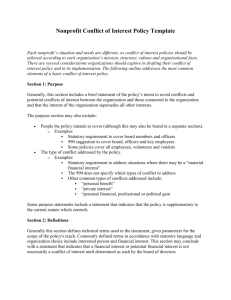 other functions as are, or may be, provided by or under this Act. direction of the Director General. performance of its functions under this Act. other employees shall be such as may be prescribed. agency of any foreign country. Government or a statutory authority. specified in sub-sections (3) to (7). means of production or distribution of goods or provision of services. geographic market’’ and “relevant product market”. of the combination, if any. business at its meetings as may be provided by regulations. meeting, shall preside at the meeting. not less than two Members. who is, or has been, or is qualified to be, a Judge of a High Court. other Benches shall be known as the Additional Benches. 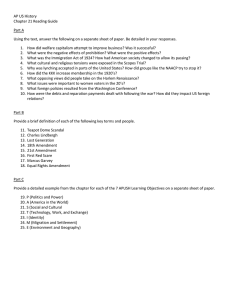 referred to in sections 5 and 6. Benches and specify the matters, which may be dealt with by each Bench. allocated to a Bench, the decision of the Chairperson thereon shall be final. Member from one Bench situated in one city to another Bench situated in another city. clubbed with the previous information. the Director General to cause an investigation to be made into the matter. on his findings with in such period as may be specified by the Commission. given an opportunity to rebut the findings of the Director General. Director General, it shall dismiss the complaint. called for, it shall direct the complainant to proceed with the complaint. case or proceed with the reference as a complaint if there is a prima facie case. Government or the statutory authority, as the case may be. (g) pass such other 45[order or issue such directions] as it may deem fit. not abuse its dominant position. why investigation in respect of such combination should not be conducted. 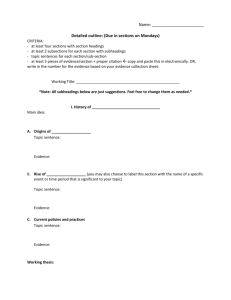 if any, before the Commission within fifteen working days from the date on which the details of the combination were published under sub-section (2). information as it may deem fit from the parties to the said combination. days from the expiry of the period specified in sub-section (4). 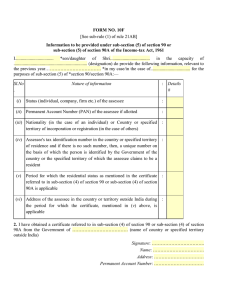 provisions contained in section 31.
which a notice has been given under sub-section (2) of section 6.
direct that the combination shall not take effect. the parties to such combination. with such combination in accordance with the provisions of this Act. under subsection (6), it shall, by order, approve the combination. 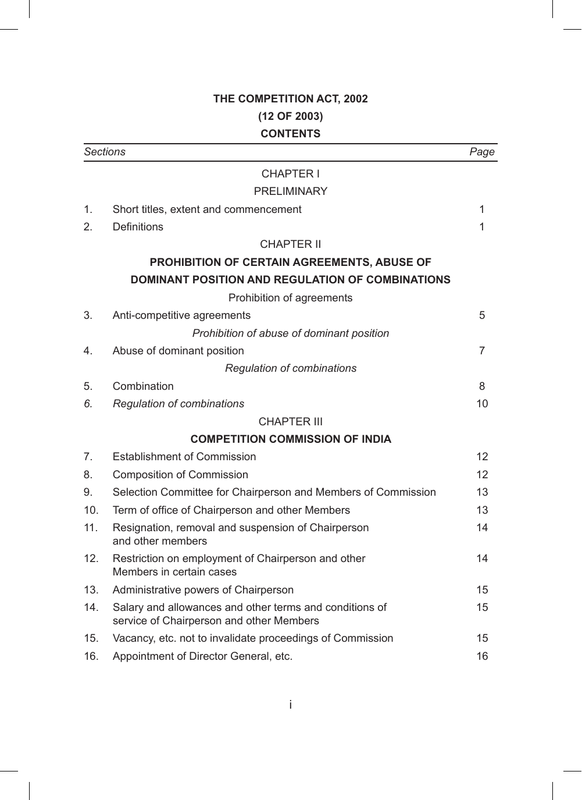 the Commission under sub-section (3). and be dealt with in accordance with the provisions of this Act. a scheme to implement its order under this sub-section. and ten] days specified in this subsection, the period of thirty working days specified in sub-section (6) and a further period of thirty working days specified in sub- section (8) shall be excluded. extended time granted at the request of the parties. which may be initiated under any other law for the time being in force. opposite party, where it deems it necessary. suit shall be construed as a reference to any inquiry before the Commission. present his or i ts case before the Commission. Court, and includes a pleader in practice. 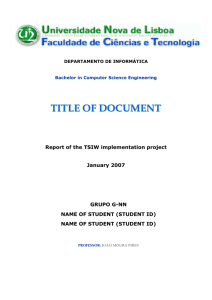 vention of the provisions of Chapter II having been committed by such enterprise. Commission shall have the powers to regulate its own procedure. 1974) and Chapter XXVI of the Code of Criminal Procedure, 1973.
assist the Commission in the conduct of any inquiry or proceeding before it. document or copy of such record or document from any office. 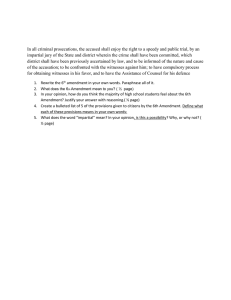 conduct of any inquiry by it. brought to its notice by any party to the order. of its order passed under the provisions of this Act. manner as may be specified by the regulations. Act for recovery of the penalty as tax due under the said Act. made thereunder shall be construed as references to sections 43 to 45 of this Act. Tax Recovery Officer as far as demand relating to penalty under this Act. provisions of this Act or any rules or regulations made thereunder. upon the Commission under subsection (2) of section 36.
inspector appointed under that Act. orders or directions made in exercise of its powers under the Act. as the Commission may determine. be liable to a penalty not exceeding rupees ten lakhs. also pass such other order as it deems fit. lesser penalty not been imposed. diligence to prevent the commission of such contravention. ”director”, in relation to a firm, means a partner in the firm. case may be] in formulating such policy. as the Government may think fit for being utilised for the purposes of this Act. of its functions and for the purposes of this Act. of the Commission as may be determined by the Chairperson. Court], shall not be subject to audit under this section. documents and papers and to inspect any of the offices of the Commission. be laid before each House of Parliament. forwarded to the Central Government. as may be after it is received, before each House of Parliament. 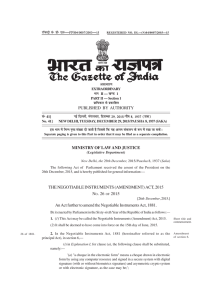 orders for the recovery of compensation under section 53N of this Act. such orders thereon as it thinks fit, confirming, modifying or setting aside the direction, decision or order appealed against. the Commission and the parties to the appeal. local authority or any enterprise or any person as a result of any contravention of the provisions of Chapter II, having been committed by enterprise. such fees as may be prescribed. the Commission before passing an order of compensation. Appellate Tribunal and the order of the Appellate Tribunal thereon. 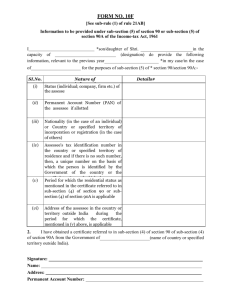 Act has taken place, or if provisions of section 42A or sub-section(2) of section 53Q of the Act are attracted. violation of the Act has taken place. which they shall have their sittings. personally works for gain, is situated. or delaying in carrying out such orders of the Appellate Tribunal. his or its case before the Appellate Tribunal. officers and every person so authorized may present the case with respect to any appeal before the Appellate Tribunal. present the case with respect to any appeal before the Appellate Tribunal. assigned to them in the Explanation to section 35.
period, allow it to be filed after the expiry of the said period of sixty days. may grant exemption only in respect of activity relatable to the sovereign functions. or not shall be final. office under clause (a) of sub-section (2) shall not be deemed to be disqualified for re-appointment. this Act or any other law for the time being in force. any power conferred by or under this Act. the provisions of any other law for the time being in force. [Omitted by Competition (Amendment) Act, 2007.
respect of which provision is to be, or may be, made by rules. under that notification or rule, as the case may be. Act and the rules made thereunder to carry out the purposes of this Act. of a period of two years from the commencement of this Act. said Act (hereinafter referred to as the repealed Act) shall stand dissolved. and such Chairman and other Members shall be entitled to claim compensation not exceeding three months’ pay and allowances for the premature termination of term of their office or of any contract of service. 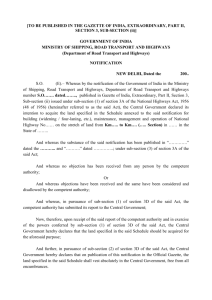 Explanation added by Act 39 of 2009, Section 2(b)(ii) w.e.f 14-10-2009.
it was filed under that Act. the provisions of the repealed Act as if that Act had not been repealed. investigation or proceedings in the manner as it deems fit. Proviso inserted by Act 39 of 2009, Section 2(c)(ii) w.e.f 14-10-2009.
of such investigation or proceedings in the manner as it deems fit. or order for conduct of such investigation in the manner as it deems fit. Proviso inserted by Act. 39 of 2009, Section 2(e) w.e.f 14-10-2009.